Some would have you believe that Christmas is over. But is it? Yes. But how was it? It is almost Christmas time but what does it mean across America? Here is the news. On Christmas day in East Harlem, a man eating tacos in the street was slashed on his head and neck. Merry Christmas? Hardly. How did the richest kids in London spend their Christmas holiday? Jetting around the world, getting extravagant gifts, and hardly thinking about others at all. Merry Christmas? For them, maybe! Turns out that Christmas tree sales are still booming in parts of Brooklyn, because “members of the Russian Orthodox church believe Jesus’ birth was Jan. 7, according to tree dealers.” Should we be getting our Russian theological information from Christmas tree dealers? Absolutely—they’re good people too. Merry Christmas! One newspaper columnist in the UK suggests that we keep the Christmas holiday going until the fifth or sixth day of January, in accordance with old traditions. Merry Christmas to that, sir—so where’s my present? Just kidding—I have all that I need, and I’m thankful for that. A single mother in London came under attack by the public and the media after she said that she took out a loan to buy her children $3,000 worth of Christmas presents, and used welfare money to buy herself Prosecco. Rather than attack this woman, perhaps we should just say to her: “Merry Christmas.” You know who else was a single mother in London? Mary. And a virgin to top it all off, so they say. Willie Nelson received a marijuana-themed Christmas sweater from his friend Snoop Dogg. “Merry Christmas, Willie,” we imagine Snoop saying, “or should I say, Hairy (Marijuana), Hit This!” Alternately, Willie could be saying this to Snoop. Which setup do you prefer? Send your answer by letter only. 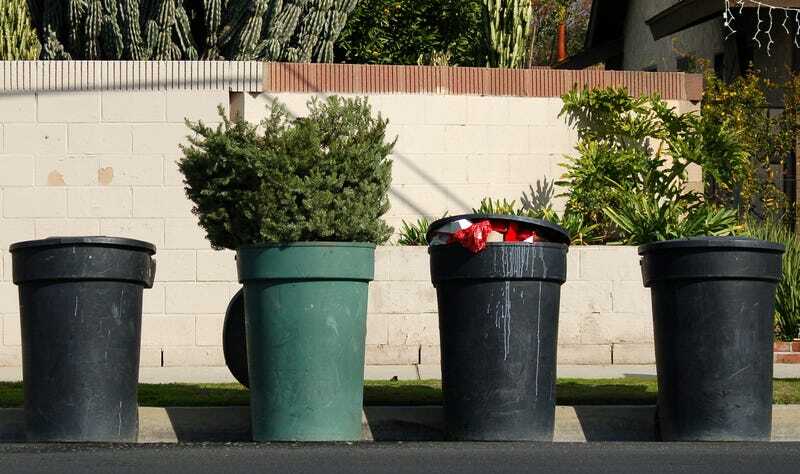 Scientists say they can make plastic from Christmas trees. But can they make Christmas trees from plastic? Yes, they figured that out a long time ago. To the men and women of the petroleum products/plastics industry we say: Merry Christmas—and to your families, the same! The bad news: Broadway ticket sales were at a record low this Christmas. Bah, humbug! The good news: Broadway ticket sales broke records this past week! Merry Christmas, after all! What is the connection, you think, between Jesus the Christ and Broadway? Direct, or indirect? Enthusiast, or participant? Something to ask Lynn Manuel Randa when I run into him. In the Philippines, a 12-year-old girl died from a stray bullet that struck her as she attended a Christmas mass. But in Ireland, a mother is alive thanks to a liver transplant she received over Christmas. In Ohio, 13 people died in car crashes over Christmas weekend. But in North Carolina, one young man sold enough popcorn to buy Christmas presents for 60 needy kids. Sometimes it seems as though bad things happen on Christmas as well as good things. Does this mean that Christmas is bad? Considering the relative moral value of multiple deaths of innocent people, yes, it must be considered bad. It’s intellectually dishonest to conclude otherwise.